Adding color to a specific region of your image, the 100 x 150mm Hard-Edge-Edge Graduated Sunset Yellow Filter from LEE Filters produces a vivid sunset yellow coloration to isolated portions of the frame with neutral results maintained in the opposite half of the image. This filter's coloring is densest at one edge and tapers to clear by the middle, with a hard-edged transition between the color and clear areas. 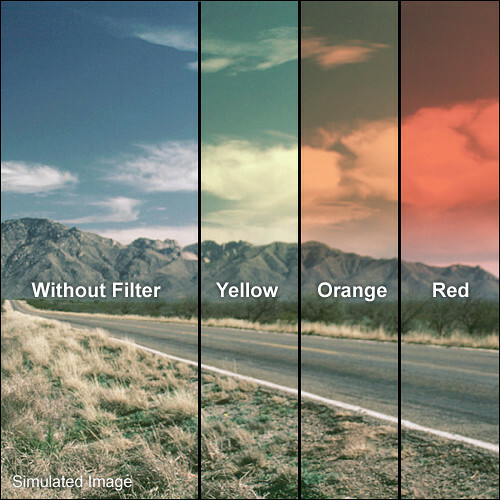 This filter is ideally suited for adding color to an otherwise plain scene or to emphasize and complement existing tones in your image. Box Dimensions (LxWxH) 7.5 x 5.5 x 0.25"